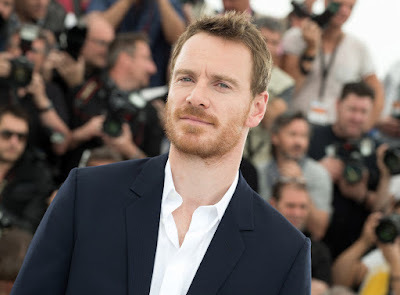 I've come to enjoy the Michael Monday posts because the focus is really on the nice photo of Michael Fassbender I choose to use. I'm in the film festival spirit and I think that Michael's The Snowman (to be released in October) is going to be announced very soon to play at Venice. It's the perfect film festival venue for this film. Michael has had many films premiered at Venice, and back in 2011, he won Best Actor for Shame.